Vitamix offers notably generous warranties. Depending on the model, you get 5, 7, or 10 years of coverage. (And that includes the great deals on reconditioned machines). That’s already longer than most of the things we buy, but Vitamix warranty service goes above and beyond. If you ever have an issue with your machine, call them up, and you’ll talk to someone at their headquarters in Ohio. If they can’t solve your problem over the phone, they cover shipping both ways for repair or replacement. They also sometimes make a first-time courtesy replacement for items damaged by user error/negligence. I’ve heard from people who broke something (melted container on stove, blended lid plug or tamper, etc.) and knew it was their fault, who had the part replaced for free. 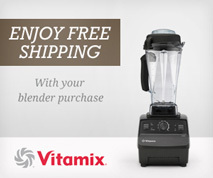 Note that this is a courtesy service and you can’t assume Vitamix will offer it. 4.1 Is the extended Vitamix warranty worth it? 6.1 Why do some Vitamix models come with a 5-year warranty and others come with 7 years? Here’s the official version of the warranty. This perk is also beyond what most companies offer. 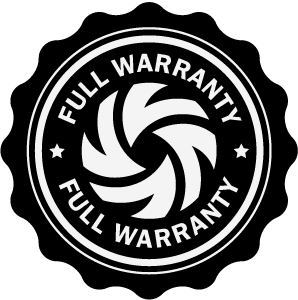 The warranty lasts the full 5–10 years, regardless of change of ownership. Vitamix can look up a machine by serial number and tell you how long is left on the warranty. Your warranty is automatically registered if you buy from Vitamix.com. If you purchase elsewhere, you can register online. Being registered streamlines service requests, although it is not required for warranty service. Commercial use on a home machine. 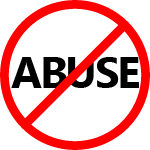 Cosmetic changes such as scratches or discoloration. You can extend the warranty for an additional 3 years, bringing the total warranty to 8 or 10 years, depending on the model. The extended warranty costs $75 if you get it within the first 30 days of purchasing your machine. You can also get the extended warranty up through the end of the original warranty period for $120. Update: Vitamix is essentially including this 3-year warranty extension for free on the Ascent Series, which has a 10-year warranty. Is the extended Vitamix warranty worth it? If you are a heavy user, you could come out ahead. For example, if you have a big family of raw foodists who use the Vitamix all day, every day, that is going to put more wear on the machine than the average home user that Vitamix is expecting. If you are giving a gift to someone who would not be able to afford the possible replacement cost—you’ll know they are set for 8 or 10 years! If you just like the feeling of being covered and knowing that Vitamix will take care of anything that happens for an extra three years. Finally, note that the extended warranty price is the same regardless of model, so the extension is a better deal on the more expensive machines. If you get a container with your machine, it will be covered for the length of your machine warranty. Containers purchased separately come with a 3-year warranty. Why do some Vitamix models come with a 5-year warranty and others come with 7 years? There is no difference in quality. My guess is that Vitamix uses this to partially justify price differences between models, although cheaper machines do not necessarily come with the shorter warranty. The following models come with 5 years: Aspire, Creations, Reconditioned, S-Series, and Turboblend Two & Three speed, while all other models come with 7 years. Curious or confused about the differences between all the models? Check out my Vitamix comparison page. Vitamix does list an email contact address, but in my experience, it’s best to call. For reasons I don’t understand, they don’t always respond to email. Their number is 800-848-2649, and their hours are weekdays 8am-8pm (EST) and Sat 9am-5pm (EST). At peak times you may have to wait on hold. You can usually avoid wait times in peak season by calling when they open in the morning. If you need to return something, they’ll send you a prepaid shipping label by your choice of email or physical mail. Thank you this was really helpful! Vitamix said user error is not covered but I mentioned the one time courtesy I read about here and they said they were just getting to that and would send me a new container!! Thanks!! It depends on what they are repairing. You could call them to make sure, but in general I think they like to look at the container to make sure the problem isn’t a container issue. Thank you for your post! I just purchased two additional containers. Do I need to register them for the warranty to be activated? How else do they know the containers the age if I need to claim warranty? Thanks! As far as I know, you do not need to register them for the warranty to be active. But my experience (myself and people I know) has been with buying directly from Vitamix, in which case the warranty is registered automatically. Even though the containers don’t have serial numbers, they do have manufacture-date stamps. So, if someone tried to pull a scam, Vitamix could figure it out. Does the warranty valid for overseas buyer?